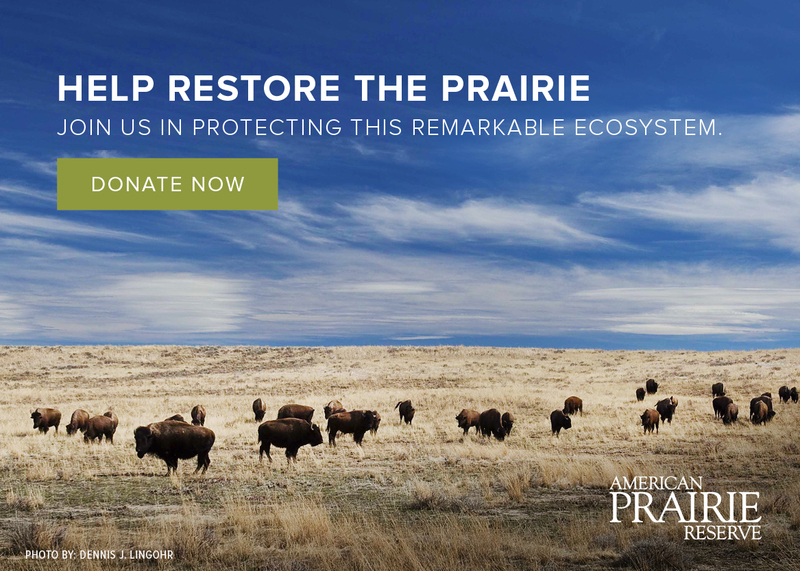 American Prairie Reserve is grateful for the assistance and enthusiasm of like-minded organizations and businesses that help advance our mission and values. As part of our desire to spread Leave No Trace skills and ethics to our supporters and visitors, American Prairie Reserve is an official nonprofit partner of Leave No Trace. In addition to the Leave No Trace Seven Principles (Plan Ahead and Prepare; Travel and Camp on Durable Surfaces; Dispose of Waste Properly; Leave What You Find; Minimize Campfire Impacts; Respect Wildlife; and Be Considerate of Other Visitors), the Leave No Trace Center for Outdoor Ethics also provides principles specifically for youth and activities like hunting. Parks Project, an outdoor lifestyle brand, was born through volunteering with park staff, a love for the outdoors and learning about the unique projects that needed funding, advocacy and support. As a for-profit business, Parks Project supports 22 individual park groups around the nation and funds various national park projects through their apparel and accessories. Every interpretive product sold carries a story and contributes to habitat restoration, animal conservation, educational initiatives and visitor services across America’s parks. Parks Project fulfills their pledge to the parks through company-organized and hosted volunteer days to live by and promote their ethos, Leave it Better Than You Found It. By collaborating with American Prairie Reserve, the company aimed to create a product that reflects the dynamic beauty of the prairie and make a tee that people want to wear, that carries a story, and can promote American Prairie Reserve from both a storytelling standpoint as well as a fundraising initiative. Phasmid Rentals is a brick-and-mortar business in Bozeman, Montana that offers car rentals and outdoor gear rentals. Guest experience is their primary goal, and they go to extensive lengths to make sure your time in Montana is as enjoyable as possible. In order to achieve this high-level experience requires many steps; from offering the best rental cars available for Montana conditions, upgraded tires for safety, to the best camping gear available on the market, to a capable and knowledgeable team that can help you get to all the good places. Phasmid supports our efforts to expand visitation on the Reserve by servicing the Reserve's vehicles and offering rentals to independent travelers. American Prairie Reserve has invested in the quality of its risk management practices through a risk management review conducted by the National Outdoor Leadership School (NOLS), an organization with over 50 years of experience managing risk in wilderness environments. As a result of this training, while NOLS doesn’t endorse or certify our practices, the Reserve is further enhancing its risk management strategy. We have invested time and resources in these practices because the health and well-being of our participants is one of our highest priorities. Visit the NOLS website.